Cucalorus Connect Observes Veterans Day by Offering Discounted Passes! Cucalorus Film Adds Screening of Black Beach/White Beach! 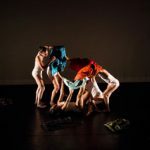 Cucalorus Stage announces Dance-a-lorus Has Gone to Rush! In observance of Veterans Day this Friday, Cucalorus Connect will offer a two-day pass to veterans for $35, a discount from the original $60 price tag, in order to make “Veteran’s Day Free” to all eligible veterans. 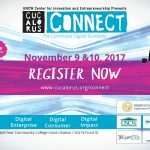 Cucalorus Connect is the technology and innovation conference component of the Cucalorus Festival, and takes place Nov. 9-10 at CFCC’s Union Station conference center. “This offer to our veterans reflects their important past, present and future participation in Wilmington’s economy,” says Tom Looney, the Connect Executive Board President for 2017. To claim their discounted passes, veterans should stop by the Cucalorus Box Office at CFCC Union Station or contact Cucalorus’s box office manager, Carolyn Maher, at boxoffice@cucalorus.org or by calling 910-343-5995 and bring a military ID. Of special interest to veterans is the VETRACONx panel on Thursday, Nov. 9, at 1:45 p.m. VETRACONx is a series of TED-style talks followed by a panel discussion from a panel of local military entrepreneurs, or “vetrepreneurs.” Panelists will openly discuss the ecosystem, challenges, and opportunities of being a vetrepreneurs in Wilmington. Panelists include Andrew Williams of Elite Innovations LLC (USMC Veteran), Darek Huckbody of Battle House (US Army veteran), Siobhan Norris of the UNCW Department of Military Affairs (US Army veteran) and Adam Colter of Belligerent Beard (USMC veteran). And today at 3:45pm, Cucalorus announced that Dance-a-lorus is now the second Cucalorus Festival event to go to rush. Passholders should arrive early and anyone still wanting to attend the evenings dance and film performance should join the Rush line in front of Thalian Hall at 310 Chestnut Street. To buy tickets for any of the festival’s 180+ events, visit www.cucalorus.org or visit the festival’s main box office at Thalian Hall.